The Committee on Foreign Investment in the United States (CFIUS) is charged with screening foreign investments to ensure they pose no risk to national security. CFIUS receives a great deal of criticism, some of it deserved. But the decision last week to approve Chinese firm Shuanghui’s $4.7 billion acquisition of American pork producer Smithfield was the correct one. Reciprocity: The U.S. cannot buy large Chinese pork producers. All four are flawed to varying degrees. Perhaps the best word for the first one is infuriating or self-serving. Advocates of big government insist that subsidies are positive for industries and the economy, but they are typically just handouts for particular individuals and companies, and they undermine competition. It adds insult to injury for many of the same people to claim that ensuing market transactions should be blocked because taxpayer money has been misused. One harmful government intervention trotted out to justify another. Food security might be an essential part of national security in some countries or in the past. It is not in America right now. Right now we export about $75 billion in food and agriculture products annually. Right now, we waste billions on agriculture subsidies. We are by far the world’s largest food surplus country. There is no food security threat for CFIUS or any serious observer to consider. The third objection is somewhat understandable: Shuanghui may very well struggle over time with running Smithfield in a safe and legal manner. Its home market sees health and environmental regulations only loosely enforced. But CFIUS isn’t supposed to judge that; it’s supposed to be a gatekeeper for national security. There is no security threat, and CFIUS is right to leave the ensuing regulatory worries to the regulators. The fourth objection is probably the best. The Chinese government does block American imports and acquisitions by American companies. It is frequently a poor economic partner. The U.S. has no particular obligation to China to approve this or any other deal. But reciprocity should not be the last word. The real question is what’s in our interests. The American economy is, thankfully, based largely on clear ownership and tough competition. 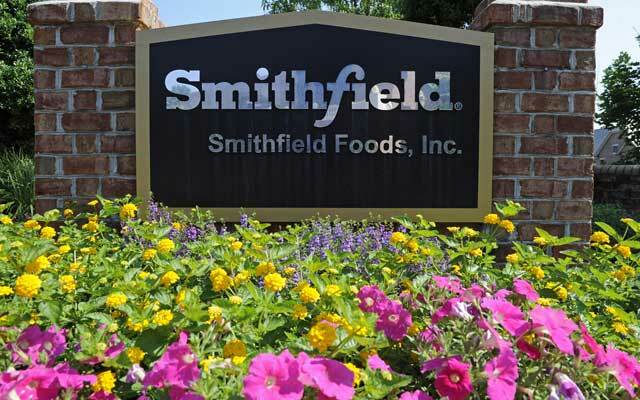 Smithfield’s shareholders—not the U.S. government—should decide whether to sell the company. Bidding among interested investors should be open to all, just as it has been. An open private sector leading our economy is what works, and that’s ultimately why the CFIUS decision to allow the Smithfield deal is a positive one.